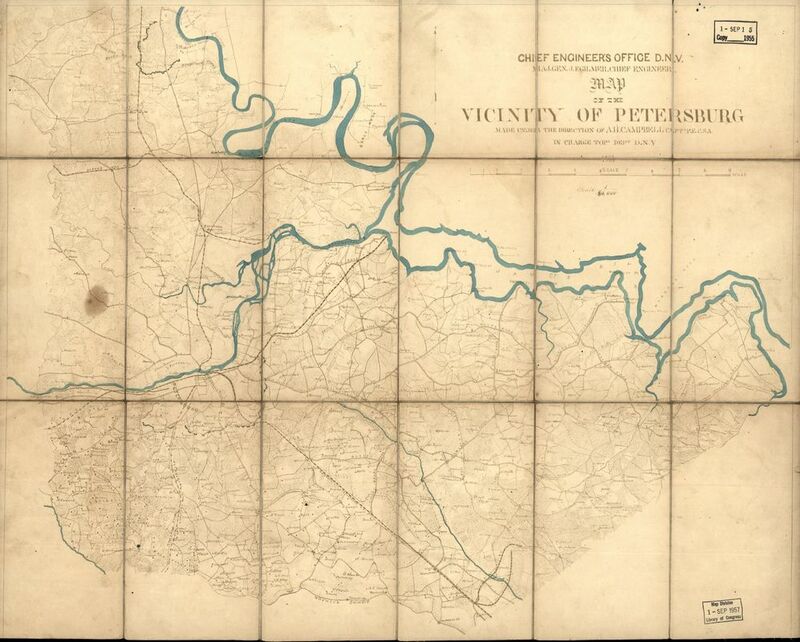 Four versions of a map of the "Vicinity of Petersburg" from the Chief Engineers Office, Department of Northern Virginia, prepared in 1864. Maj. Gen. Jeremy F. Gilmer became Chief Engineer of the Confederacy. Capt. Albert H. Campbell was appointed head of the Topographical Department by General Robert E. Lee in June 1862. "Chief Engineer's Office D.N.V., J. F. Gilmer, Chief Engineer. Made under the direction of A. H. Campbell, Captain." Fortifications at Petersburg and Drewry's Bluff are outlined in pencil. Library of Congress Geography and Map Division. 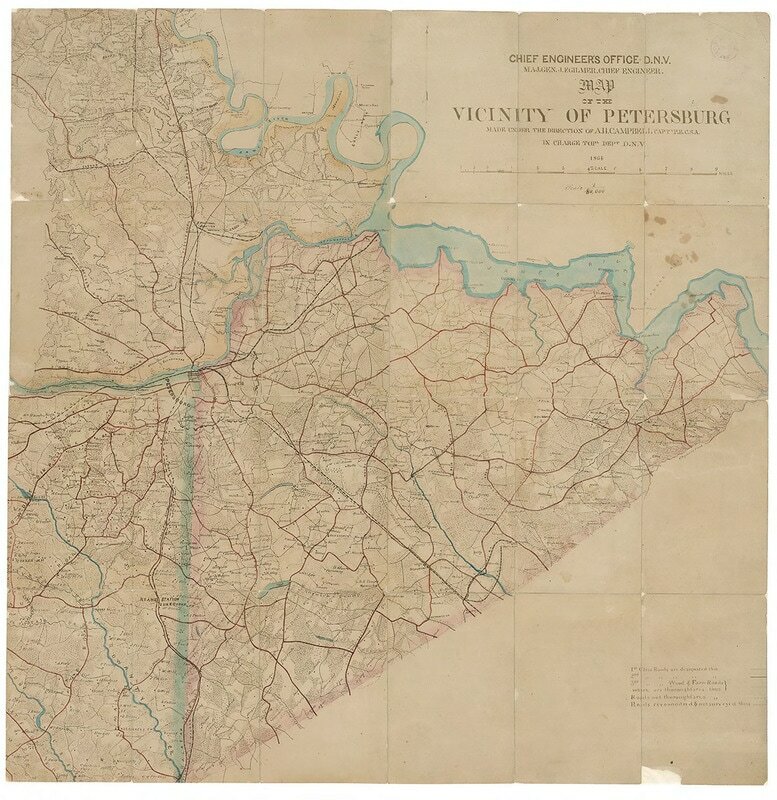 "Vicinity of Petersburg, Chief Engineers Office, Department of Northern Virginia, J. Gilmer, A. Campbell 1864"
"Approved July 9th, 1864 Albert H. Campbell, Capt. P. Engrs. in chg." Originally part of the Robert E. Lee Headquarters Papers (Mss3 L515 a). Manuscripts o.s. Virginia Historical Society. 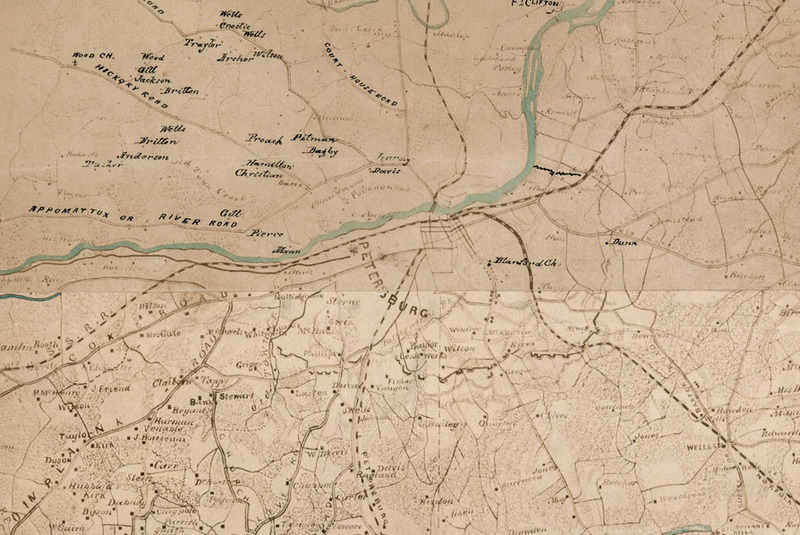 ​Map Collection of the Library of Virginia. 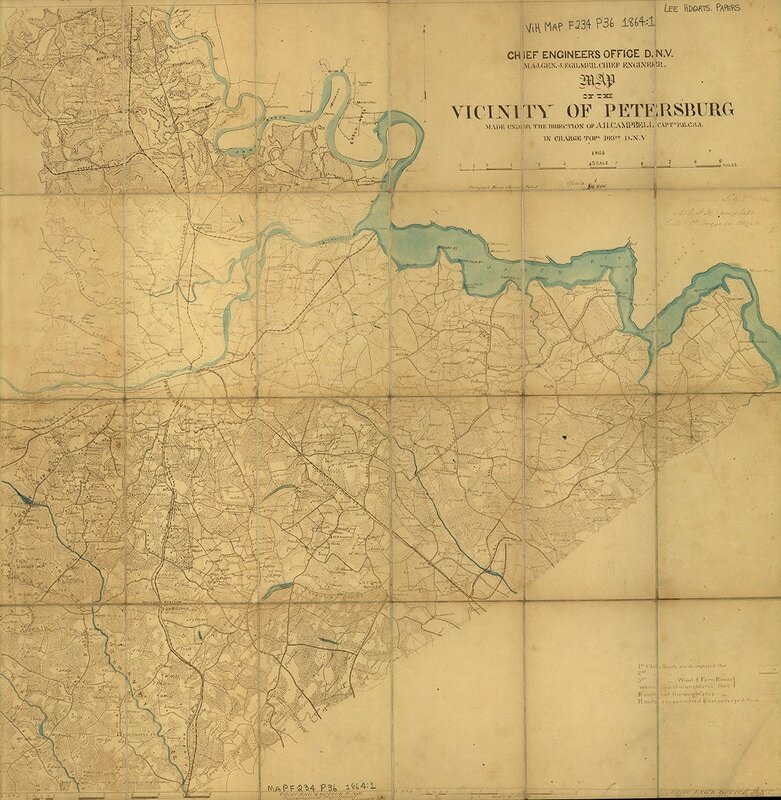 "Map of the vicinity of Petersburg, made under the direction of A. H. Campbell, Captain P. E. (hand-drawn and colored)." Jeremy Francis Gilmer Collection, University of North Carolina. A preliminary version of the previous map with annotations.